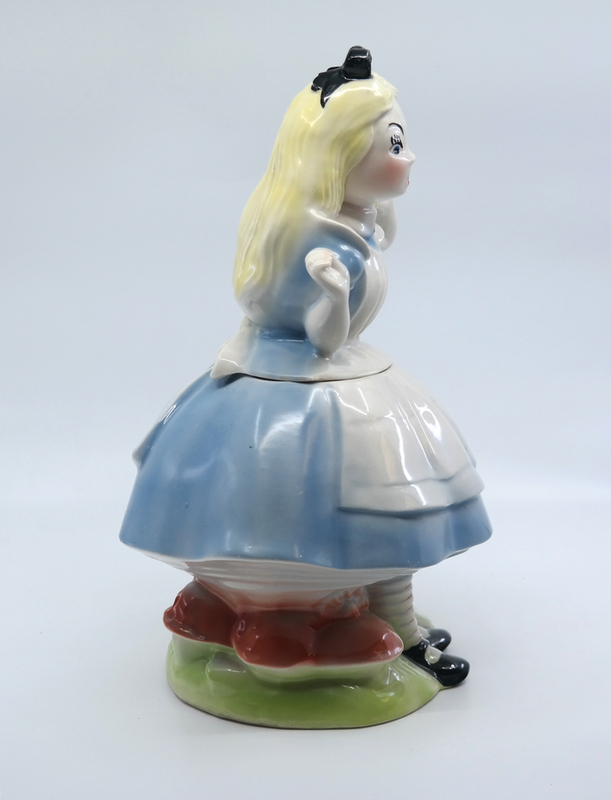 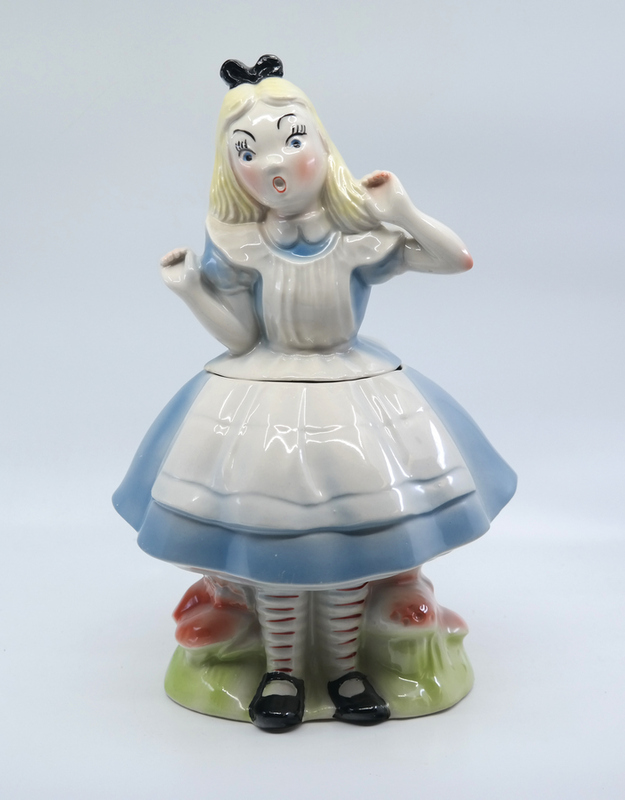 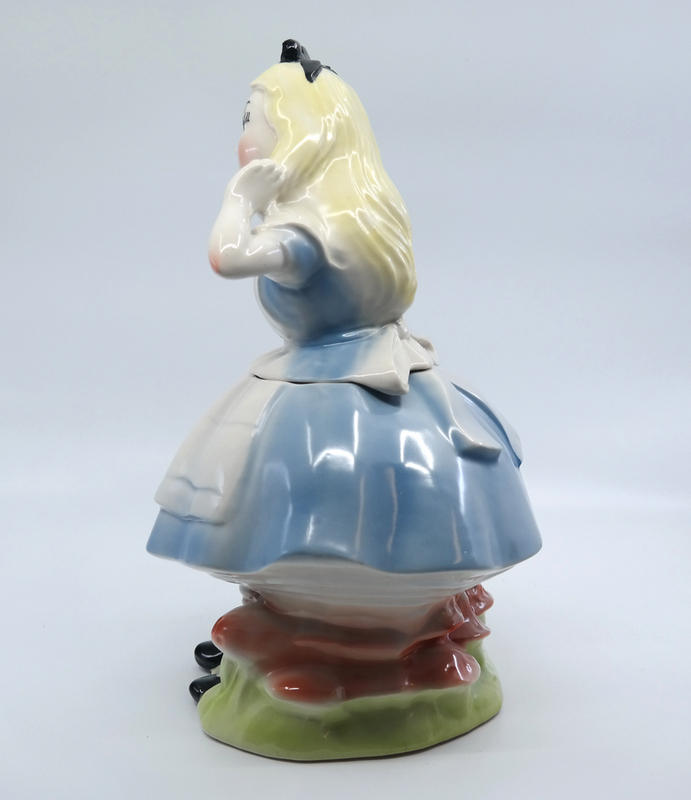 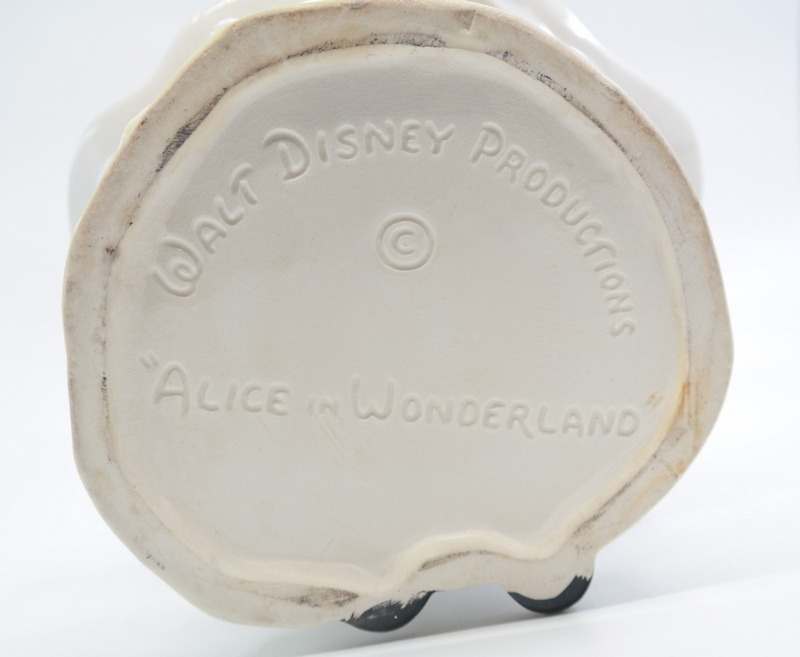 This is an extremely rare cookie jar depicting Alice from the classic Walt Disney studios animated feature, Alice in Wonderland. 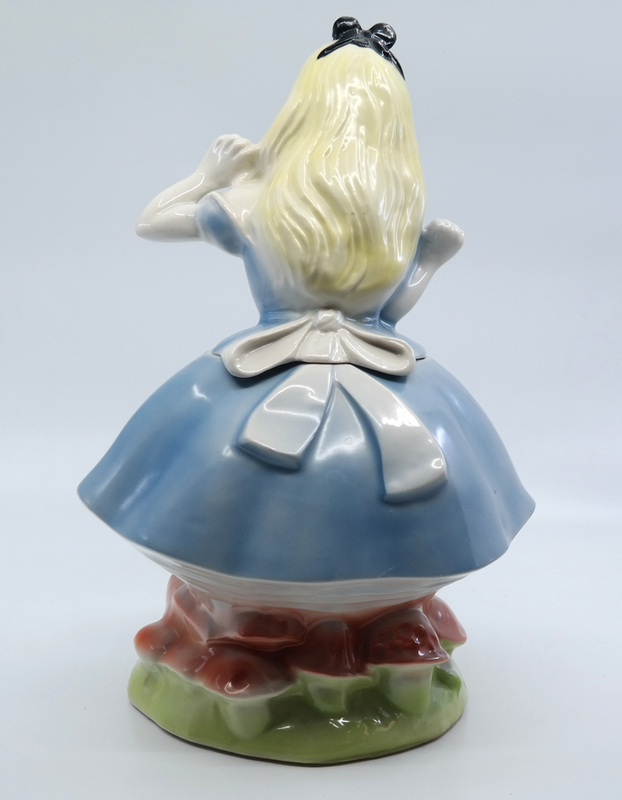 The cookie jar was made by the Regal China in 1951 and is considered to be one of the most rare and sought after cookie jars. 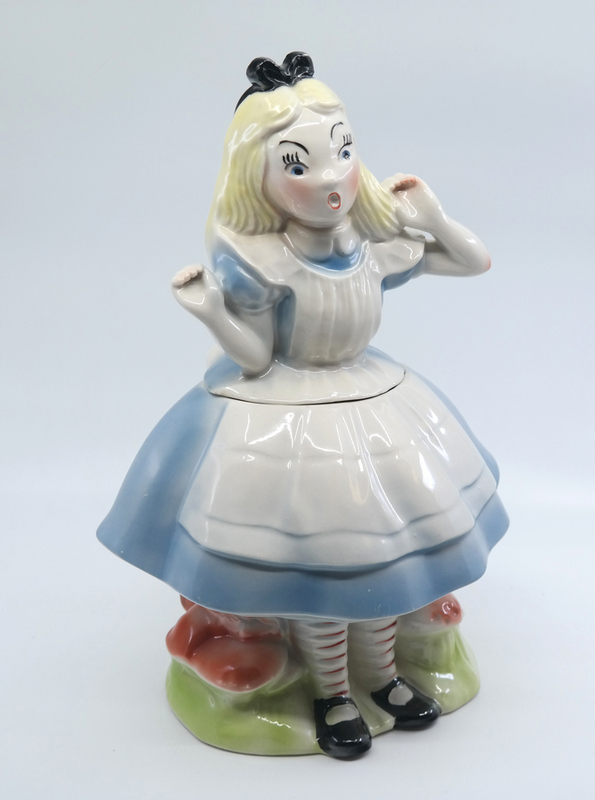 The cookie jar measures about 13.5" tall and is in excellent condition.